This website is the property of Lamett Europe NV. The General Conditions as stated here, apply to all products offered for sale on the Lamett webshop and for all deliveries. Every order implies the general conditions of sale are accepted. Only Belgian Law applies to the General Conditions of Lamett Europe NV. The customer has the right to inform the seller to renounce the purchase, without having to pay a fine and without having to state the reasons, within 14 calendar days following the delivery of the goods or the making of the deal. The agreement between Lamett Europe NV and the buyer is realised as soon as the buyer has accepted the conditions made by Lamett Europe NV and agreed with them. The lack of a traditional signature does not affect the obligatory character of the offer and its acceptation. Lamett Europe NV has the right to refuse an order to subject it to extra conditions, for instance for huge orders, orders placed by minors, when the order procedures have not been completely executed or when previous orders have caused problems. Lamett Europe NV will always confirm the order by e-mail. As long as a confirmation e-mail has not been received by the customer, the order is not valid. Payment of products bought at Lamett Europe NV can exclusively be made by money transfer or one of the other available methods of payment. The seller remains the owner of the goods till payment has been completed. When payment is not made in due time, Lamett Europe NV has got the authority to cancel the agreement immediately or to delay (further) delivery of the goods till full payment has been made. The delivery times stated by Lamett Europe NV are approximately correct but are not ultimate deadlines. The ultimate delivery time is 30 days after receiving the order, except when payment is made by transfer: in this case the ultimate delivery time is 30 days after receiving the payment. Lamett Europe NV delivers in Europe. Deliveries are made exclusively through a courier service, unless,previous to the agreement, another way of delivery was agreed upon. Contact information of the courier service can be found on the following site: www.bpost.be. We provide as accurately as possible information, images, oral information, price quotes concerning the goods offered and the main characteristics of the goods given by phone or e-mail. Lamett Europe NVdoes not accept responsiblity for advice it has provided, printing errors on the website or technical information provided by suppliers or manufacturers. 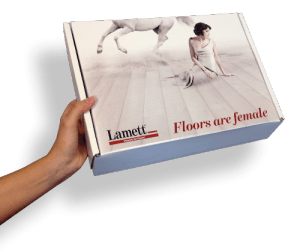 The products offered by Lamett Europe NV comply with legal standards and can be sold online. Possibly Lamett Europe NV includes in its website links to other sites that could be interesting or informative for the visitor. These links are of an exclusively informative nature. Lamett Europe NV is not responsible for the contents of these sites, nor for its use. The Belgian Bill of Law on Commercial Practice, the Information and Protection of the Customer of April 12 2010, states that the purchaser has a time for reflection of 14 calendar days for all products bought from Lamett Europe NV. This period starts as soon as you or someone assigned by you has received the goods. During this period we expect you to handle the goods and the package material carefully. The right to cancel the purchase is not possible when the product and the package material are no longer original, undamaged and unused. When you want to cancel the purchase, you must inform us by phone or by letter within 14 calendar days following the day of delivery of the goods. Cancelling the purchase is not subject to any fines and a reason must not be given. More information about cancelling or returning goods can be found in the section cancelling, returning and exchanging on our website. The goods must be returned undamaged, unused and unopened (in their original packaging) at the very latest 14 days after delivery. The shipping date is the control date. All documentation, certificates of guarantee and packing materials must be added to the return shipment, as well as the number of your bank account. The purchaser pays the shipping costs of the returned goods. Understamped or not stamped shipments are always refused and will be sent back to the purchaser. Lamett Europe NV returns the complete amount of the purchase, including shipping costs, within 30 days after the goods have been returned. If goods have not been returned in accordance with the conditions of the right to cancel, the amount of the purchase except the shipping costs, will not or not completely be returned. The product , in this case, remains your property. On your demand the goods can be sent back to you on the condition of payment of the shipping costs. Repayment is not possible when a product has been worn or is damaged in any other way. When a clear, manifest fault is found it must be reported to Lamett Europe NV within 7 working days after delivery. A hidden fault must be reported within 2 working days after discovering it, in writing by e-mail to info@lamett.eu. This must happen at the latest 2 months after delivery of the products. The costs for returning the goods that do not comply with the description of the offer will be borne by Lamett Europe NV. Lamett Europe NV has the right to appeal to ‘Circumstances beyond our control’ if the circumstances that make it impossible to meet its commitments occur after Lamett Europe NV should have met its commitments. In such a situation delivery and other obligations of Lamett Europe NV are cancelled. If this period is longer than 8 weeks, both parties can undo the agreement, without any obligation of compensation. Agreeing a price with the customer does not omit the right of Lamett Europe NV to raise the price. A personal offer has a validity of 2 weeks, unless another period has been stated on the offer. The contents of this site, including brands, logos, drawings, data, names of products or companies, texts, images etc. are protected by intellectual rights and belong to Lamett Europe NV or third parties who own the rights. Lamett Europe NV will deal with questions or complaints within the reasonable period of 7 calendar days. All disagreements originated by offers or deals made by Lamett Europe NV shall be filed only before the authorized Court of Justice at Kortrijk, unless an imperative statutory provision indicates another jurisdiction as authorized. The information on the website has got a general character. It has not been adapted to personal or specific circumstances and therefore cannot be considered as personal, professional or legal advice to the customer. Lamett Europe NV makes every possible effort to provide correct, accurate and up-to-date information. In spite of these efforts inaccuracies can occur in the information, provided on the website. If the information is inaccurate or if parts of the information is unavailable on the website, Lamett Europe NV will do its utmost to rectify this without delay. However, Lamett Europe NV cannot be held liable for direct or indirect damage caused by the information on this site. The contents of this site, including the links, can be adapted, changed or completed without previous announcement. Lamett Europe NV cannot guarantee the good operation of this site and cannot be held responsible for a bad operation, temporarily unavailability of the site, or for any damage caused by access to, or use of the website. Lamett Europe Nv can never be held responsible directly or indirectly for damage caused by the use of this site or other sites, especially as a consequence of links or hyperlinks, including all loss, interruption of work, damage to programmes and other computer system data, machinery programmes or other of the user. The website can contain hyperlinks to sites or pages of third parties or refer to these indirectly. Putting the links to these sites or pages does not imply any approval of their contents. Lamett Europe NV clearly states it has got no control over the characteristics of these sites and can never be held responsible for the contents or the characteristics of them, nor for any damage caused by using them.